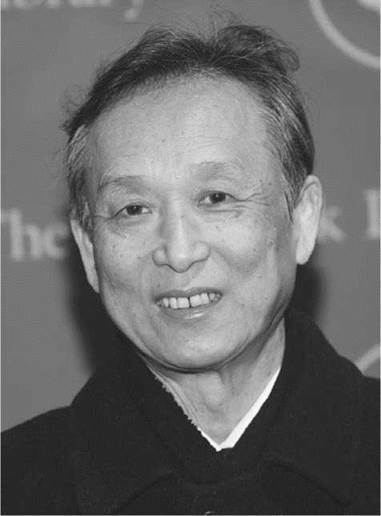 Playwright, novelist, and artist Gao Xingjian was a prominent leader of the avant-garde artistic movement that emerged following the Cultural Revolution (1966-1976) in China. In 2000 he received the Nobel Prize in Literature, the first winner to write in the Chinese language. Gao is the author of several experimental plays as well as two highly acclaimed autobiographical novels, Soul Mountain and One Man’s Bible. Gao’s works are banned in the People’s Republic of China, and he is now a French citizen. Childhood in a Time of War. Gao was born in Ganzhou, Jiangxi Province, on January 4, 1940, during the Japanese occupation of China. This was part of the Second Sino-Japanese War, during which Japan attempted to claim parts of China as its own; this conflict ultimately merged into the greater conflict known as World War II, and it ended with Japan’s surrender in 1945. Gao received his formal education in the Communist People’s Republic of China, established in 1949. Gao, however, had grown up in a liberal family with a sizable library of Chinese literature, as well as many volumes on Western literature and art. His mother, an actress in local productions, fostered in her son her love of the arts. Sometimes Gao and his mother staged plays in the house for Gao’s father, a banker. The Cultural Revolution. From childhood, Gao wanted to be an artist and planned to enroll in art school after graduating from high school. In Communist China, however, the role of the artist was limited to works that glorified the state and its ideals. When he realized that being an art student would mean painting propaganda posters, he decided to study French at the Beijing Foreign Languages Institute. This choice proved a great influence on his development as a writer: As more and more Chinese books were banned by the Communist regime beginning in the 1950s, Gao continued reading his way through the shelves of French works at the Institute library. Following his graduation in 1962, Gao worked as a translator and editor at the Foreign Languages Press in Beijing. He continued reading in French until all books in foreign languages were banned during the Cultural Revolution initiated by Communist Party chairman Mao Zedong. Gao had obsessively kept a diary, and, though he knew such self-expression did not conform to Mao’s guidelines, he wrote many works of fiction, though he burned most when he became concerned he would be arrested or imprisoned if his work was discovered. Freedom and “Spiritual Pollution’’. In 1970, along with countless other artists and intellectuals, Gao and his colleagues at the press were sent to a rural labor camp for ‘‘reeducation.’’ He remained for nearly six years. When he came under investigation for leading a ‘‘rebel’’ group against the ‘‘revolutionary pedigree’’ group that was beating and torturing older workers from the Foreign Languages Press, Gao escaped into the mountains and began living the life of a peasant, working in rice paddy fields. Eventually, Gao was chosen to teach in a village school. The Cultural Revolution ended with Mao’s death in 1976. Subsequently, the amount of artistic freedom in China increased. Gao was able to return to his position with the Foreign Languages Press in Beijing and to write openly. His short stories, essays, and literary criticism began to appear regularly in literary magazines. He published a collection of his essays titled A Preliminary Discussion of the Art of Modern Fiction (1981), which daringly stressed that effective fiction requires freedom—for the author, the reader, and the characters as well. His argument established his credentials among Chinese intellectuals, but authorities of the state frowned on his embrace of decadent ideas from the capitalist West. Gao’s play Warning Signal was staged in Beijing in 1982. The experimental piece challenged decades of established socialist-realist practices in the theater. Gao’s innovative techniques, such as flashbacks, different perspectives, and his focus on the psychological dimensions of his characters, were enormously appealing for audiences, but government authorities found the play subversive. Bus Stop, staged the following year, caused more controversy. The play depicts people waiting at a bus stop, watching buses pass without stopping, as the years pass by as well. Chinese audiences thought the play a refreshing change from the overtly didactic plays of past decades. Authorities shut down the production after three weeks, banned all of Gao’s works, and demanded that the playwright apologize in public for his ‘‘spiritual pollution.’’ Gao refused to do so. Soul Mountain. During these anxious times, Gao was diagnosed with lung cancer and was convinced his death was imminent. Weeks later, a second X-ray determined that the diagnosis had been a mistake. Gao felt reborn and resolved to be free, defying all authority except his own inner voice. Hearing that the regime intended to incarcerate him again, he took an advance royalty from an editor and fled into the forests of Sichuan Province. During the time he was gone, the Oppose Spiritual Pollution Campaign of 1983 was born, and Gao was blacklisted for promoting capitalist Western literature. Gao traveled more than fifteen thousand kilometers along the Yangtze River for five months, observing remainders of early civilization and ancient folk practices that provided material for his reflections on human existence and the function of language, song, and storytelling. The solitude of his long journey also provided time for him to examine his own life, both his present predicament and the fragments of forgotten memories that had surfaced during his confrontation with death. The writing he did during this time became the basis for his groundbreaking novel, Soul Mountain. At the end of 1983, Gao returned to Beijing, and continued to submit works for publication, despite intermittent campaigns of repression. Even with careful self censorship, his writings continued to cause troubles for him. His play Wild Man, staged in 1985 at the Beijing People’s Art Theater, was the last of his plays performed in China. In 1987, the opportunity arose for Gao to travel to Germany. Frustrated by near-constant harassment in his homeland, he remained in Europe and took up residence in Paris. In 1989, following the Chinese government’s attack on student protesters in Tiananmen Square, Gao quit the Communist Party and applied for political asylum. He became a French citizen in 1998. In Paris, Gao completed his novel Soul Mountain, a massive experiment in language and narrative form. The novel dramatizes one man’s quest to come to terms with nature, society, and the self. Exploring the landscapes and legends in the Chinese hinterlands, the narrator laments the immense destruction wrought by the Cultural Revolution. Storytelling and imagination, including the unfolding of multiple personalities within the individual ‘‘I,’’ relieve the narrator from the loneliness of the human condition. Gao’s second autobiographical novel, One Man’s Bible, returns to the years of the Cultural Revolution. Gao depicts the drastic distortion of human behavior created by tyrannical individuals such as Mao Tsetung and his followers, and insightfully explores the dynamics of power at various levels of all human relationships. Theatrical Visions and Sudden Celebrity. Gao’s next major play, Fugitives (1990), is a tragic love story set against the backdrop of the Tiananmen Square protests. Chinese authorities published Fugitives as a showcase of immoral literature by Chinese living abroad. Starting in the late 1980s, eminent directors have produced Gao’s plays on five continents. Gao’s play Interrogating Death was presented in Marseilles, France as one of the events for ‘‘Gao Xingjian Year,’’ declared by the city in 2003. When Gao received the Nobel Prize in Literature in 2000, his reclusive life in Paris was suddenly interrupted by publicity. It was the first time that his writings had brought him significant financial rewards. Prior to that, he had supported himself by selling his Chinese ink paintings. No Chinese writer had ever been awarded the prize, and Gao’s works were officially blacklisted in his home country. The Chinese government imposed a media blackout on the Nobel ceremonies that year. After collapsing while directing rehearsals in 2002, Gao underwent two operations for heart trouble. His health has improved significantly since then, and he continues to derive pleasure from writing poetry and painting. Deng Xiaoping (1904-1997): Leader of the Chinese Communist Party from 1978 to the early 1990s, Deng introduced free-enterprise elements into China's economy. Dario Fo (1926-): An Italian theatrical satirist who is often censured for social agitation, Fo won the Nobel Prize in Literature in 1997. Tenzin Gyatso (1935-): The fourteenth Dalai Lama is an exiled Tibetan spiritual leader who won the 1989 Nobel Peace Prize. Jimmy Carter (1929-): Carter was the forty-ninth U.S. president and is the author of over twenty books that include everything from collections of poems and meditations to discourses on how to solve the Israeli-Pales- tinian problem. Derek Walcott (1930-): This West Indian poet and playwright won the Nobel Prize in Literature in 1992 for work that revolves around myth and culture. Six Characters in Search of an Author (1921), a play by Luigi Pirandello. In this early exploration of meta theater, the characters appear on stage out of the imagination, all demanding to tell their stories. The Bald Soprano (1950), a play by Eugene Ionesco. In this play, two families engage in a nonsensical conversation that seems to demolish language itself. The Birthday Party (1958), a play by Harold Pinter. Influenced by Beckett, this work is an early ''comedy of menace'' by one of England's leading playwrights. Film (1965), a film with a screenplay written by Samuel Beckett. The only work of cinema by the leading absurdist playwright starred Buster Keaton, whose masterpieces of silent film comedy influenced the absurdist genre. Rosencrantz and Guildenstern Are Dead (1966), a play by Tom Stoppard. Two minor characters wander in existential confusion on the outskirts of William Shakespeare's Hamlet. Gao was exposed at an early age to classics of both Chinese and Western literature and recalled reading Honore de Balzac, Emile Zola, and John Steinbeck from the shelves of his family home. As a student of French literature, he became even more widely read. His own artistry was particularly influenced by avant-garde European dramatists, such as Samuel Beckett and Eugene Ionesco, whose work he later translated for the Beijing Foreign Languages Press. Elements of surrealism and the ‘‘Theater of the Absurd’’ abound in his works for the stage. At the same time, his drama incorporates traditional Chinese aesthetics. Tripartite Actor. Concerned that theater had lost its appeal, Gao called for a return to what he considers to be the essence of theater: its ‘‘theatricality,’’ the very thing that distinguishes drama from other literary forms. To address modern theater’s deficit in theatrical elements, Gao formulated his idea of the ‘‘tripartite actor:’’ the actor as a person, the neutral actor, and the character. To achieve neutrality, the actor casts his everyday self aside in order to observe his own acting from a distance. Based on his observations, the actor would then modify his acting accordingly. In other words, the actor is asked to identify psychologically with the audience. Pronouns as Characters. One intriguing aspect of Gao’s exploration of individuality is his experimentation with pronouns. Many of his stories alternate between first-person, second-person, and third-person narration. Soul Mountain, a novel of considerable length, impressively sustains this technique as Gao uses the pronoun ‘‘I’’ to represent the narrator’s physical journey through China. In his loneliness, ‘‘I’’ creates ‘‘you,’’ who is in fact a reflection of the narrator. Naturally, being a reflection of ‘‘I,’’ ‘‘you’’ also experiences loneliness and creates ‘‘she’’ for a companion. ‘‘You’’ flirts with ‘‘she,’’ who finally succumbs, and the two gratify their lust. Traveling together to Snow Mountain, ‘‘you’’ tells ‘‘she’’ a number of fascinating tales. ‘‘She’’ becomes tired and depressed during the never-ending journey to the mountain, and in a fit of hysteria ‘‘she’’ attacks ‘‘you’’ with a knife, though ‘‘you’’ is able to fend off her assault. ‘‘She’’ finally departs, leaving ‘‘you’’ to travel alone to Soul Mountain. As ‘‘you’’ walks away, the back of ‘‘you’’ becomes ‘‘he’’. Such shifts in perspective reflect the author’s dissection of the self and its essential multiplicity. Academy when it was discovered that a Swedish translator served on the Nobel selection committee. Although some detractors accused the translator of a conflict of interests the committee refused to deem any of the action involved inappropriate. Western Reach. Some Western reviewers have noted that Gao’s experiences in the Cultural Revolution and its aftermath may remain beyond the understanding of readers in the liberal West. Overseas productions of Gao’s plays, strongly Chinese in their production values, have provoked similar concerns about the difficulties of translating the subtle traditions of an alien culture. Recent criticism, however, has noted Gao’s achievements in bridging Eastern and Western elements. By invoking the European techniques of absurdist theater, while grounding his dramas in Chinese aesthetic traditions derived from Taoism and Zen Buddhism, Gao developed a way to surpass the limitations of socialist realism and rejuvenate Chinese literature. 1. Gao’s writing often seems to be a tool for uncovering past events that have been obscured by political forces, such as the Cultural Revolution. Consider his use of Chinese history and folk traditions in Soul Mountain. Would you say that the preservation of the past through art is a driving motivation of the book? If so, why does it matter? If not, then what is Gao’s preoccupation with stories of the past, both ancient and recent? 2. Using your library and the Internet, find out more about the Taoist philosophy. Do you think Gao’s ideas of human dignity and freedom are related to ancient Chinese Taoism? 3. Find out more about China’s Cultural Revolution by watching China: A Century of Revolution (2007), a three-DVD documentary on twentieth-century China. Draguet, Michel. Gao Xingjian: The Taste of Ink. Paris: Hazan, 2002. Goldblatt, Howard, ed. Worlds Apart: Recent Chinese Writing and Its Audiences. New York: M. E. Sharpe, 1990. Lovell, Julia. The Politics of Cultural Capital: China’s Quest for a Nobel Prize in Literature. Honolulu: University of Hawaii Press, 2006. Luk, Yun-Tong, ed. Studies in Chinese-Western Comparative Drama. Hong Kong: Chinese University Press, 1990. Ren, Quah Sy. Gao Xingjian and Transcultural Chinese Theater. Honolulu: University of Hawaii Press, 2004. Tam, Kwok-kan, ed. Soul of Chaos: Critical Perspectives on Gao Xingjian. Hong Kong: Chinese University Press, 2001. Zhao, Henry Y. H. Towards a Modern Zen Theatre: Gao Xingjian and Chinese Theatre Experimentalism. London: SOAS Publications, 2000. Hessler, Peter. Wall Street Journal (December 15, 2000): W10. Larson, Wendy. ‘‘Realism, Modernism, and the Anti-‘Spiritual Pollution’ Campaign in Modern China.’’ Modern China 15 (1989): 37-71. Lee, Mabel. ‘‘Pronouns as Protagonists: Gao Xingjian’s Lingshan as Autobiography.’’ China Studies 5 (1999): 165-83. Lin, Sylvia Li-chun. ‘‘Between the Individual and the Collective: Gao Xingjian’s Fiction.’’ World Literature Today (Winter 2001): 20-30. Mirsky, Jonathan. International Herald-Tribune (October 10, 2000). Moran, Thomas. ‘‘Lost in the Woods: Nature in Soul Mountain.’’ Modern Chinese Literature and Culture (Fall 2002): 207-36. Rekdal Paisley. New York Times Magazine (December 10, 2000): 51.